I have been without a refrigerator for 3 weeks. Actually, I own the refrigerator, I just don't have it in my possession, but that is a long and ugly story. I recently watched a docudramatization of what the world would be like after the apocalypse. We would basically be screwed. Not counting the marauding gangs of hungry children that would kill you for a root vegetable (according to this program gangs of vicious children would be about the worst thing after the apocalypse), there would be the general problem of what to do without television to watch docudramatizations. For that matter, what would we do without electricity or the refrigerator that is run by electricity. Which brings me to my recent dilemma of not having a refrigerator and realizing, quite dramatically, what I use the refrigerator for every day. Peel the shallots and slice crosswise. Put them in a small bowl, season well with salt and pepper, add the vinegar. let sit for a half hour. Boil the green beans in a large pot of salted water for 3 to 5 minutes, until just past the crunchy. Spread them out to cool. 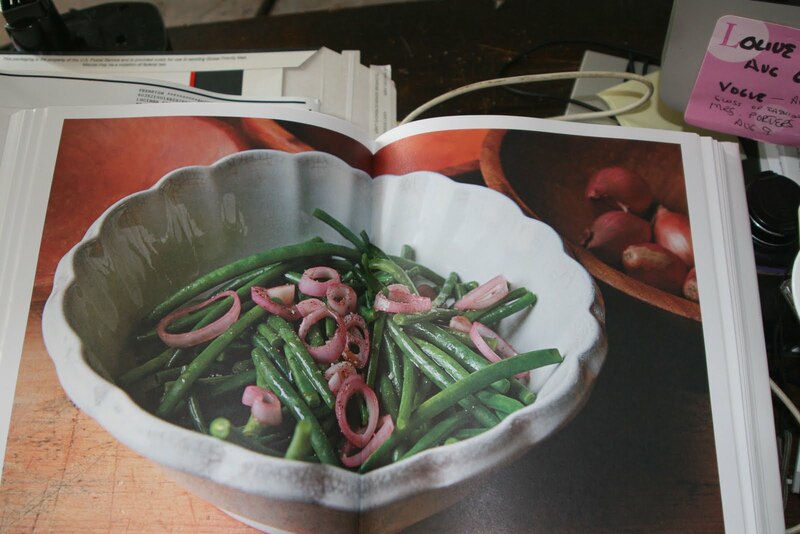 Just before you serve the salad, put the green beans in a bowl and season well with salt and pepper. Whisk the olive oil into the shallots and vinegar, then add the dressed shallots to the beans. Toss well, transfer to a platter or serving bowl, and sprinkle with chives. 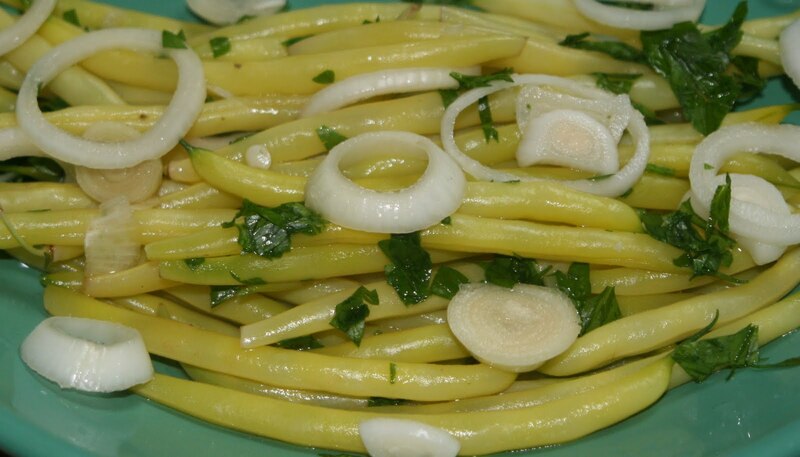 Yellow Bean Salad with Pickled Onions. Stunning recipe !! thanks for share it with us!